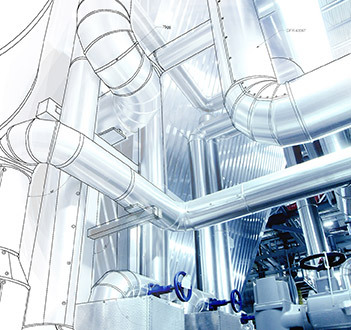 Check valves are an important component in piping used to transport fluids. A properly functioning check valve allows liquid to flow in one direction and prevents reverse flow in the opposite direction. Proper installation and preventative valve maintenance are necessary to keep check valves in peak condition. 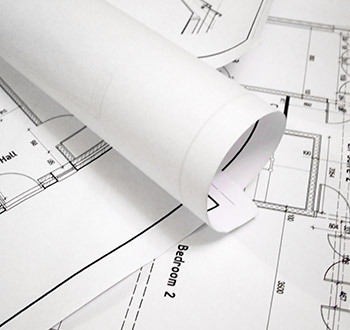 During installation, it is essential to consider the flow capacity. Proper valve size is necessary to prevent performance issues. 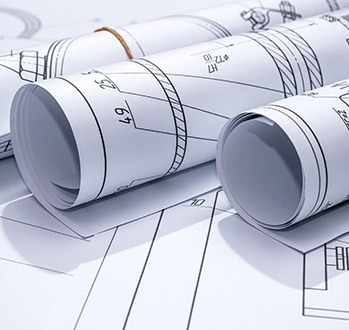 Oversizing can lead to vibration damage, shortening the life span of the check valve. However, if you complete routine maintenance on a correctly sized check valve, you can prevent leakage and premature failure. The first step in valve maintenance is making sure the pipeline and valves are clean and free of debris. Filters are a simple and effective way to prevent debris from entering the system. If debris does get in the piping, flush the pipes to minimize buildup and remove settled debris. 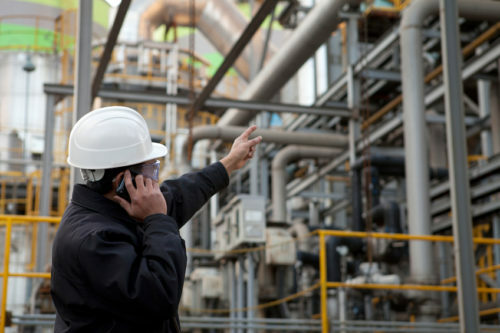 It’s essential to establish a consistent maintenance schedule on all check valves. This method can improve the function and longevity of the system. 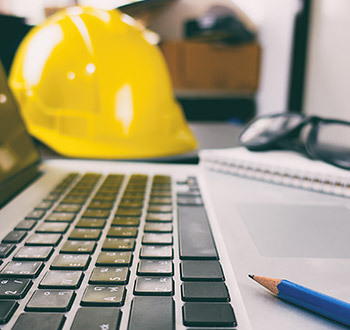 Choose a properly sized check valve based on vertical or horizontal orientation, type of media, and the normally expected flow condition specific to the application—not the size of the pipeline. 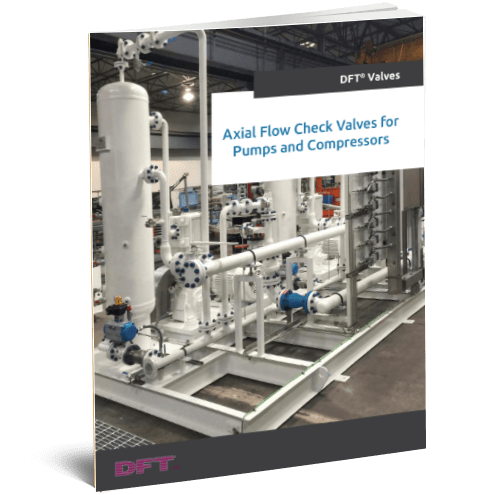 Incorrectly sized valves can cost more, reduce flow velocity, and cause malfunctions such as water hammer. For optimal performance, the valves must be installed correctly and used as directed in the manufacturer’s instructions. Sometimes a system may need proper routine inspections to maintain tight shutoff and prevent premature check valve failure. You can keep a tight shut off by removing any foreign matter.If flushing hasn’t helped, remove and completely disassemble the valve. Inspect it for scratches on the valve seat and the disc. Then, wash all parts in clean fluid that is used in the system. As you reassemble the valve, inspect the housing and trim parts for any corrosion or erosion. Replace the valve if there is corrosion or excessive roughness due to erosion. Appropriate check valve choice and regular inspections are key to preventing premature failure in any application. 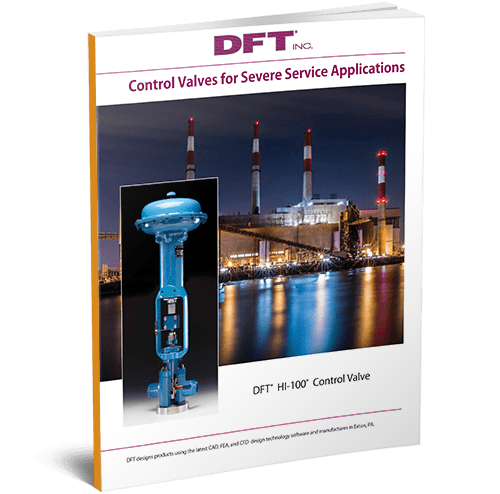 DFT® has been manufacturing check valves and solving any issues for over 70 years. 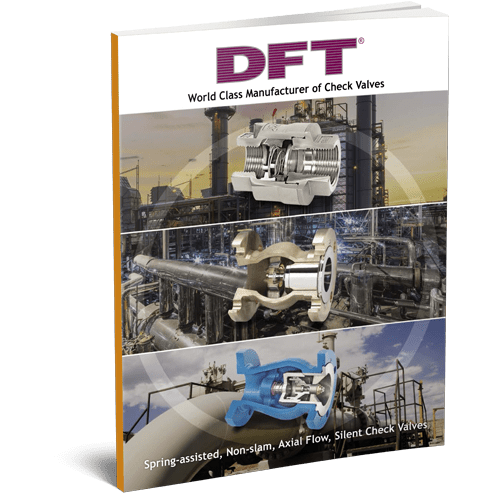 Contact us today to learn more about how DFT can support your check valve needs.